On the strength of these findings, the study’s lead author, Associate Professor Beverley Lawton, of the Women’s Health Research Centre, University of Otago, Wellington, is asking the Government to urgently review New Zealand’s maternity training system and consider implementing mandatory clinical supervision for newly-graduated midwives for up to two years in hospital followed by a supervised year in the community for independent midwives. She estimates that this year, there could be some 1500 pregnant women for whom their Lead Maternity Caregiver (LMC) is an independent midwife with less than one years’ experience post-graduation. The two-year study examined Ministry of Health data and set out to determine whether the level of experience of midwives was related to mortality of babies at and around the time of birth (perinatal mortality). Associate Professor Lawton and colleagues from Otago and Illinois University matched the years of experience of midwives to the life/death outcomes of 233,215 babies born in New Zealand from January 2005 to December 2009; with 83,043 of those births cared for by midwife-only-trained midwives, and 150,172 births receiving care from nurse-midwives. Of those, a total of 10573 pregnancies over this five year period were looked after by midwifery-only trained LMCs who were in their first year out of training. Researchers looked at the number of baby mortalities (totaling 86 deaths) within this specific group with less than one year’s experience and calculated there was a 30% higher likelihood that the perinatal outcome could be death of the baby, compared to the rate of baby mortality for other nurse/midwifery trained midwives, and those midwives with 5-9 years’ experience. “The chance of the baby dying equaled two extra deaths per 1000 births compared to the pregnancies cared for by the more experienced midwife-only trained midwives with 5 to 9 years’ experience. With the raw figure for this group of less experienced midwives being 86 baby deaths – that amounted to 21 more deaths over this five-year period than can be expected of more experienced midwives (5-9 years) over the same period,” says Associate Professor Lawton. Associate Professor Lawton says the study found a significant trend of decreased mortality in babies as years of midwifery experience among midwives increased. For midwives who were nurses first, no association between experience and perinatal mortality was found. “It’s important to stress that this study points to a training issue for New Zealand midwives and the need for a system change to reduce unsupervised practice for junior midwives. It is not about midwives as practitioners. 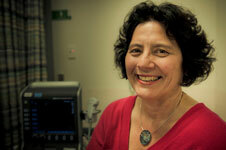 Midwives are expert clinicians giving quality care and are the backbone of the NZ maternity system,” she says. In New Zealand, there is no requirement for supervision in the first years after graduation for midwife-only midwives, although a mentorship programme was introduced from 2011. Due to well publicised deaths of babies, the mentorship programme has been strengthened but the researchers believe that until this is changed to supervision this is unlikely to make a substantial difference. On the other hand, the study also shows the additional training that nurse-midwives receive may contribute to improved outcomes for mothers and babies. In 2009, the Ministry of Health introduced the Maternity Quality Initiative which includes a National Quality and Safety Programme for maternity services, including maternity standards, clinical indicators, referral guidelines and improved maternity information systems. The Otago study notes that these changes may contribute to increased safety, “although increased supervision and support for junior staff, ” was left out of these 2009 changes. Australia has introduced an “eligible midwife registration standard” that requires the midwife to complete the equivalent of three years full-time post registration experience as a midwife and give evidence of current competence to provide pregnancy, labour, birth and postnatal care. The researchers also said that the Dutch model of maternity care, which is similar to New Zealand’s, has come under recent pressure due to possible increased perinatal mortality for low risk births cared for by autonomous midwives, compared to other European countries.